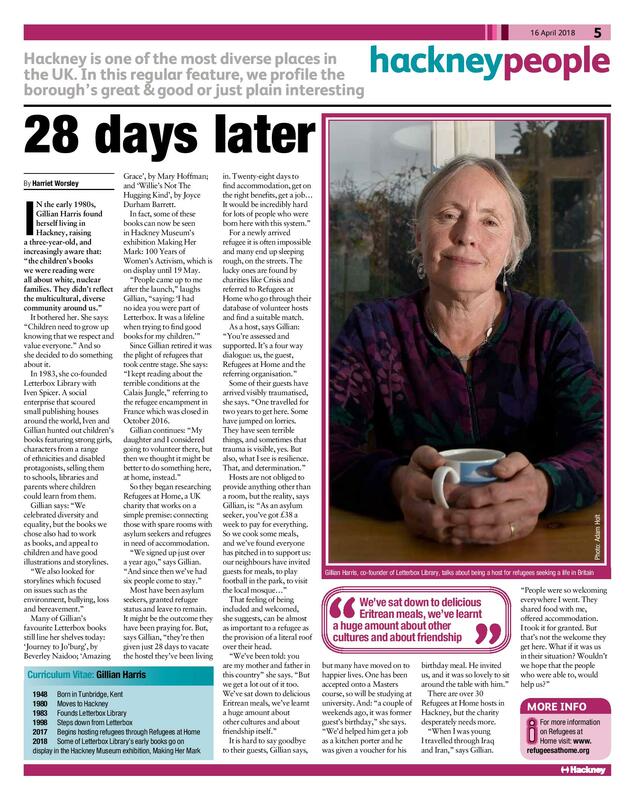 In April Hackney Today featured Gillian Harris, one of our hosts in East London. In the piece Gillian talks about reading about the Calais Jungle and feeling the need to act, learning about Eritrean culture, and playing the role of parents in a foreign country. You can read the full article in Hackney People, out April 16, or below.